Has your Sony TV started to play up? It can be a very frustrating time when your Sony TV turns faulty. When you require a Sony TV repair should be careful in picking the right company. It is important that you only pick the best company in the business and at UK TV Repair we have a wealth of experience in Sony TV repair. At UK TV Repair we only employ the best television repair engineers in Birmingham. We cover a range of services including any LED TV repair, LCD TV repair and even 3D TV repair. 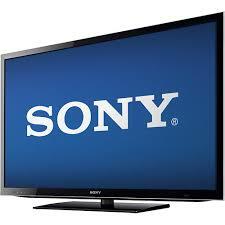 Our team of engineers have the resources and know-how to get your Sony TV repair up and running in no time at all. Please note that we don’t just specialise in Sony TV repair. We repair all makes and models of televisions including Samsung, Bush and Phillips. Simply give us a call and see what we can do for you today. Our prices are low. They are affordable to everyone. It can be an expensive time when your television turns faulty and instead of purchasing a brand new television and being out of pocket for the month you can simply get your Sony TV Repair with our team. Through our service we are confident that you will be able to tune back into your favourite TV channels sooner rather than later. If you are interested any of our other services then you have a few options: option one you can give our team a call on 0121 371 0011 and book your appointment with us, option two you can fill in the contact form and we will give you a call back, option 3 you can bring your television into our repair shop located on 70 Yardley Road in Acocks Green.